OK, I'm partially responsible for this happening. But I didn't want to post it just anywhere and run the risk that everything goes haywire. I hope it will be useful to people. Thanks, Bahua! I am just now turning my lofts into condos. I completed a certified, historic rehab 5 years ago and for many reasons I feel the time is right and it will ultimately be better for the building. And my health. 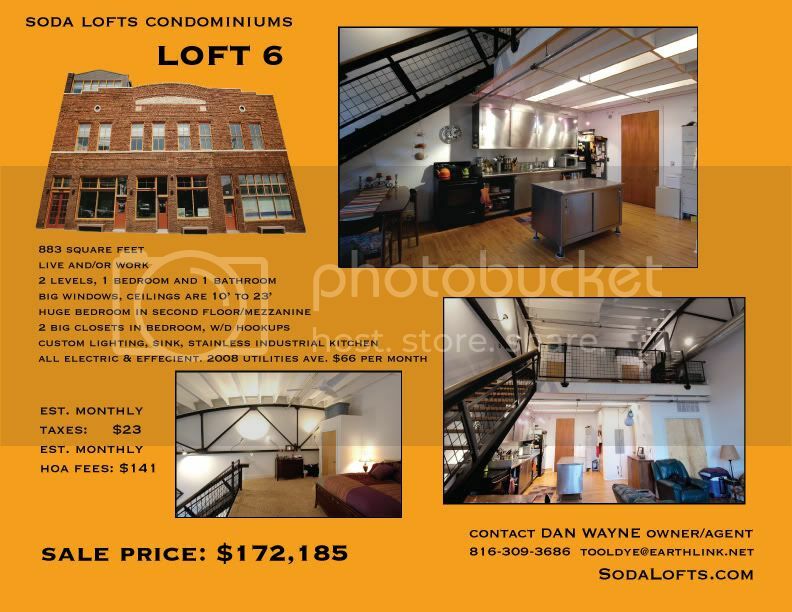 The Soda Lofts are very unique. I think they're a great deal. 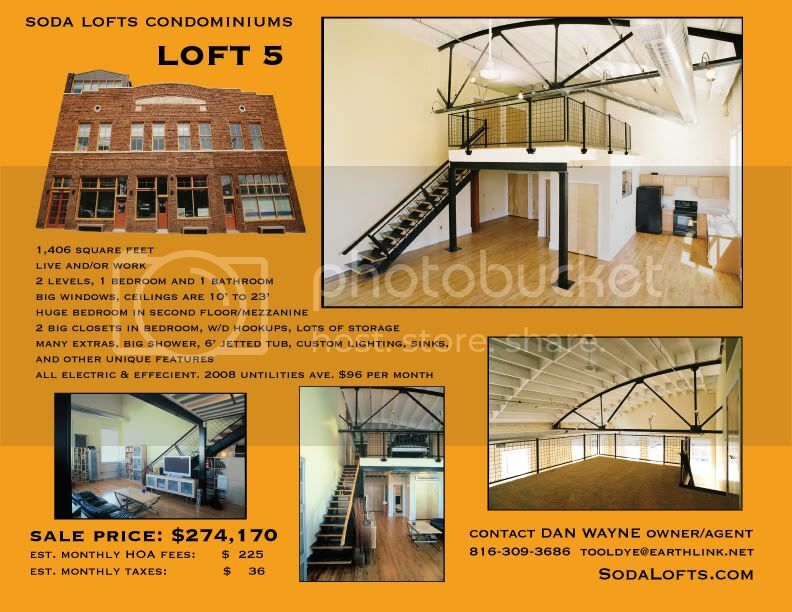 Three of us will be staying here and buying, and that means that there are 6 lofts available for sale. One of those is a ground floor, commercial storefront which could easily be converted to a live/work space and I insist that it retain a commercial element of some sort. Prices are $163,800 to $274,170. They are all different. There are 10 units total. The website won't be updated for another week or two, and it'll have a lot more info then. HOA fees and taxes are very low. If you have any questions, just email or PM me. In case you don't know, you can go to my website or email me by clicking on them icons over yonder, on the left under my name. Don't forget to mention the special forum member discount! As a longtime member of this forum, I'm happy to make this announcement here, first. Here are some flyers. I could write a lot more, but the website tells a lot about the building and other related stuff. Again, contact me with questions. Beautiful spaces! A nice small and intimate building like that shouldn't sit too long I hope. I would much prefer living here in a place that only holds 6 units than a mega condo building. Personally, I think it has more clout! For several reasons, mainly the current condo supply and strict lending guidelines, I've decided to put off my condo conversion for a while. So, everything is going back to rentals. 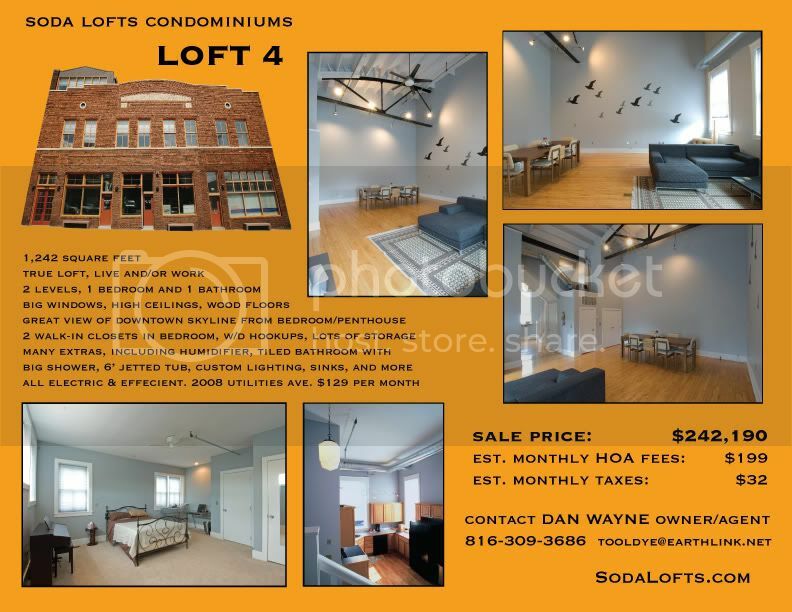 I have 3 lofts available right now, and two more opening up by the end of the year. $950-$1575. I'm hoping that things will shape up next year and I may try again, then. 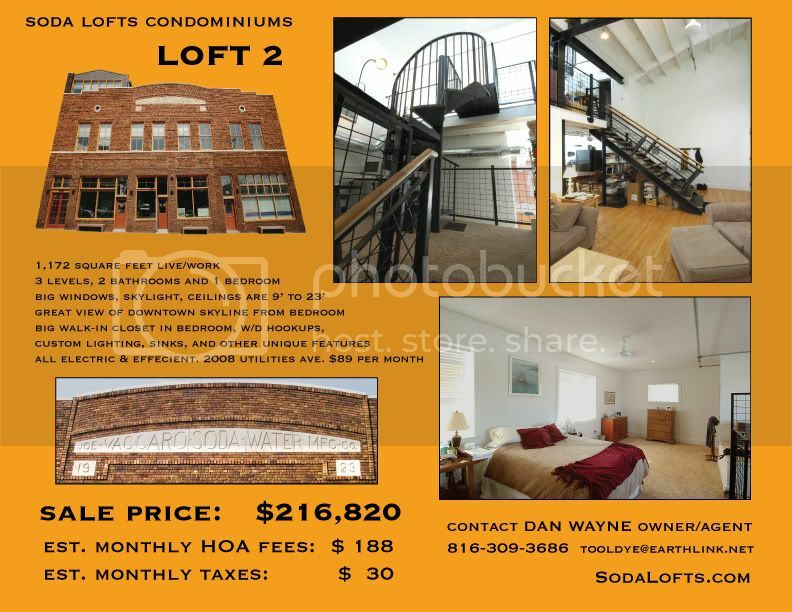 It could be a good opportunity for someone who's considering buying, since I'll offer the lofts to my tenants at a reduced rate, or could provide a lease/option or lease/purchase deal and if you're a tenant when the building turns condo, you're eligible for FHA financing. My website should be updated with all the info in a day or two. On a side note, there's what I think is a killer deal down the street right now. This kind of thing doesn't show up in Columbus Park very often, and not at this price. BTW, I have nothing to do with this. But I am an agent, so feel free to (please) tell the listing agent you were referred by me. taxi wrote: For several reasons, mainly the current condo supply and strict lending guidelines, I've decided to put off my condo conversion for a while. What did you think? Looks like it needs totally updated but it in livable condition. But it's already in backup status A great deal for a work/live venture. staubio wrote: What did you think? Looks like it needs totally updated but it in livable condition. I had to look at the photos again to be sure, but I really don't get what you think needs to be updated? These are among the more creative and unique lofts in town. Go see them in person, Staubio. kcjak, what is that backup status comment? You lost me. loftguy wrote: I had to look at the photos again to be sure, but I really don't get what you think needs to be updated? Agreed, 527 Gillis is probably approached as a full gut rehab, but it's still a hell of a buy. I like the stairs and railings. Backup status means that someone is already in negotiations for the space, but that prospective buyers can still look in case something falls through. I was talking about the building on Gillis, not the Soda lofts, though. Right, sorry for the confusion, taxi. Your building is fantastic, and I'd love to come see it in person and help spread the love. Thanks, dudes. I hope one of you end up with that little building. If you've read through the thread about the disadvantages of owning and decide you'd like to rent in CP, come on by. We're running specials every day. Like: free beer for every 3rd customer; show up in a funny hat and get a shot of whiskey; bring a (hot, single) girl and get $5 off your rent; bring 2 hot (hot, single) girls and get $5 off rent and free beer; bring a dozen hot (hot, single, nekid) girls and get a month free; etc. Seriously, I have 3 lofts available. Tell your friends, come visit anytime. You can see them on my website.